iron stef: grilled pizza and tequila lime cheesecake! This past weekend was el-perfecto weather-wise. Sunny, breezy, high 60's. Fantastic! Great for grilling stuff and eating refreshing desserts and drinking beer. We decided to attempt grilled pizzas. For the crust, we simply used some of those frozen dinner roll dough balls. Coat them in olive oil, and put them in a bowl and cover to let them thaw and rise. When they were nice and soft and puffy, knead and flatten on an oiled surface. Tip: if the dough is resisting staying in the shape you want, put it aside and let it rest a few minutes while you start another crust. To grill: first of all, have all your toppings and sauces chopped and ready to go...you'll need to do the topping part quickly. Put the flattened crusts on a clean, well-oiled hot grill. Once they look done on that side, flip them over, then quickly top the pizzas. Let cook until cheese is melted (or before crusts get too dark on the bottom...whatever comes first). We had a few combinations...pepperoni and bacon, anchovy and red onion, and a bbq chicken pizza (based on a papa john's pizza...what?) that had red onion, pineapple, bacon and chicken. 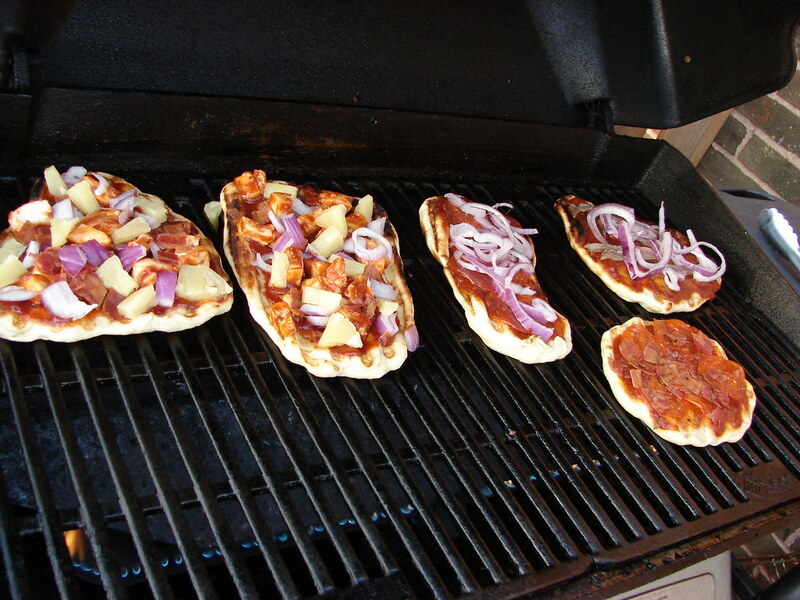 The bbq chicken one had a sauce that was 2 to 1 Jack's homemade pizza sauce and sweet baby rays bbq sauce. All were topped with fresh shredded mozzarella cheese. Combine graham cracker crumbs, coconut and applesauce in a bowl. Press the crumbs into the bottom of 9.5” springform pan and set aside. Puree cottage cheese in a food processor until smooth. 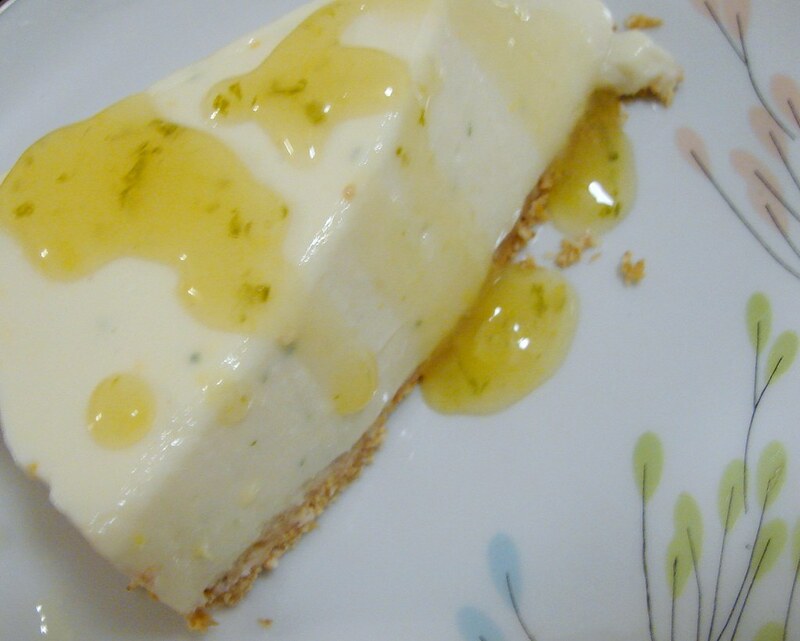 Add the cream cheese, sugar, zests and lime juice. Process until combined, about 2 minutes. Pour orange juice into a small saucepan and sprinkle gelatin powder over it. Let stand for about 2 minutes. Stir over medium heat until the gelatin is dissolved. Stir in tequila. Add gelatin to cream cheese mixture and mix well. Pour this onto the prepared crust and smooth out the top. Cover and refrigerate to let the gelatin set…at least 4 hours. The recipe in the book also calls for a tequila lime glaze, which we skipped because it required even more setting up time and we couldn't wait any longer. We did make a sort of tequila lime glaze, though, with tequila, key lime juice, fresh orange juice, citrus zest and sugar. It was thickened with a slurry of cornstarch and water. 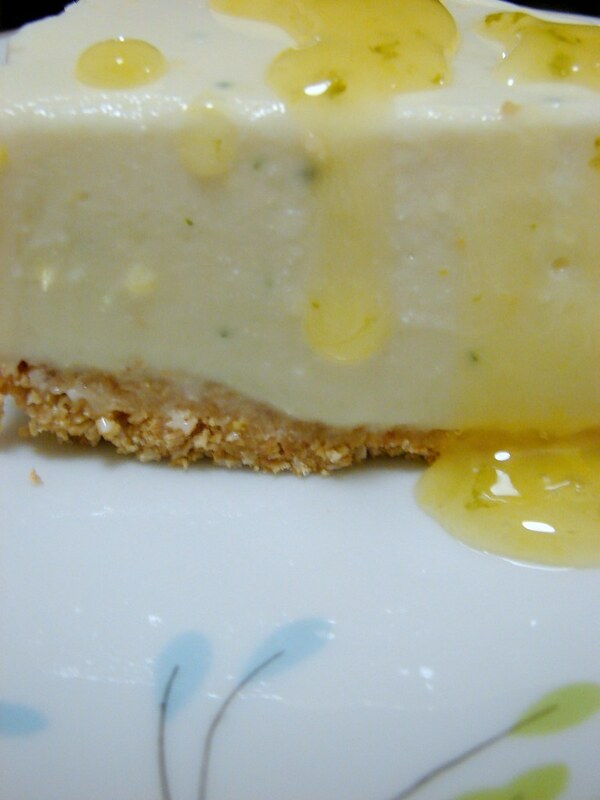 This should be pretty tart, to make a good companion for the cool, creamy, sweet cheesecake. Looks like a great way to enjoy the sunny weather. Let's hope more sun is on the way! And I like your cookbook references - I'm always on the lookout for another one to check out. Great looking meal Stef! 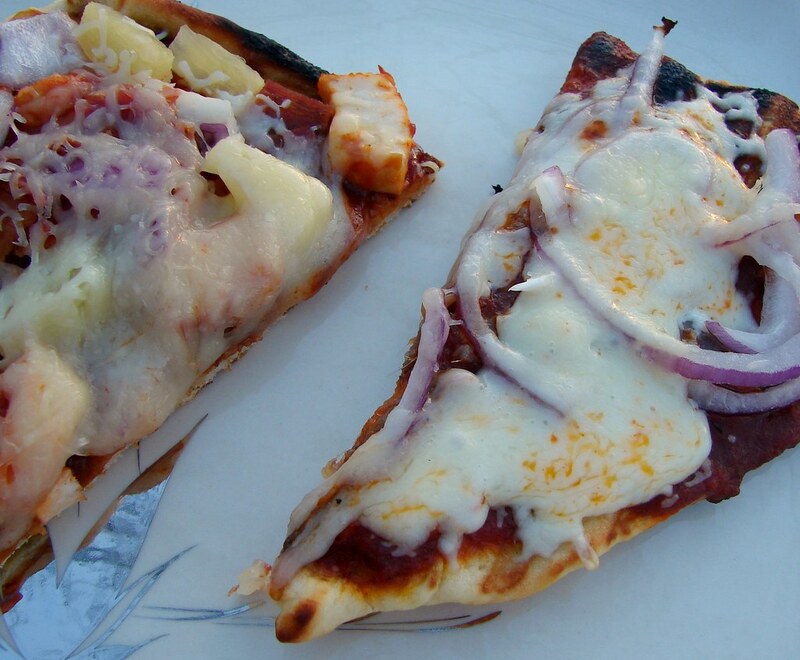 I love pizza done on the barbeque... it's fun and adds a nice smokey flavor too! I partially bake my rolled out dough in the oven first. That way you don't have to flip the pizza, just top and pop on the grill.